Born in Trinidad, Carmichael immigrated to the Bronx in 1952 and, while a student at Howard University, became active in the Civil Rights movement. By the mid- 1960s, Carmichael was in the forefront of young African Americans who had grown impatient with the non-violent philosophy of Martin Luther King, Jr. and espoused a more militant approach to social and racial justice he dubbed “Black Power.” During the late 1960s, he became vocal in protest against the Vietnam War and other examples of what he deemed American tyranny and repression. 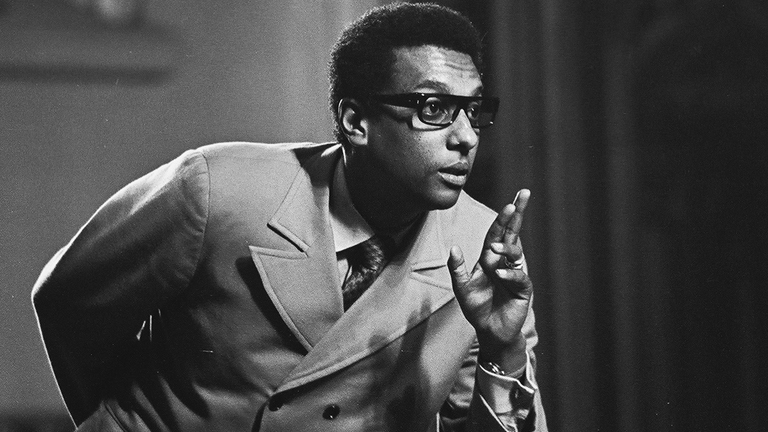 He moved to Guinea, West Africa, in 1969, and, after changing his name to Kwame Toure, helped found the All-African People’s Revolutionary Party, dedicated to Pan-Africanism.